On World Autism Awareness Day and in what is believed to be the first such project in Scotland Edinburgh Airport have launched a support package designed to help passengers with autism or other additional support needs on their journey through the airport. Working closely with Scottish Autism, the airport’s corporate charity partner for 2014, and disability equality group Wideaware, Edinburgh Airport has developed the ‘Travelling with Additional Needs’ toolkit as part of a wider support package to help passengers and their families better cope with the what can be a daunting task of navigating their way through a busy airport. The toolkit is made up of a series of factsheets, each tailor-made to focus on the different parts of the airport journey which may be particularly stressful, for example checking in and going through security. The factsheets are available to view, download and print from the airport’s website. The factsheets provide an easy step-by-step airport guide and aim to help passengers prepare for what to expect within an airport. The toolkit will be supported by hands-on initiatives including advance walk-throughs for passengers who may be on the autism spectrum, in a wheelchair, or even someone who may not have been in an airport before. If passengers feel that they would prefer to discuss their journey in more detail, they can contact the team at Edinburgh Airport who can help familiarise them with the airport and its usual operations. Text versions of the factsheets are also available for passengers with visual and hearing impairments and work is underway to develop a wider support package for wheelchair users. The airport is also working with airlines, such as easyJet and British Airways, to help facilitate bespoke courses for people with a fear of flying. David Wilson, Chief Operating Officer at Edinburgh Airport, said:- “We realise that each passenger is unique and may have different requirements so that’s why we’ve been working hard to understand the complex types of barriers which can stop people from being able to fly. “We’ve taken on board expert advice so we can remove these barriers and show that travelling through Edinburgh Airport can be an enjoyable experience. Our specially designed toolkit and the wider support package have been specifically designed for those passengers who may need a little bit of help or reassurance before they fly, whether that is information on where to find their check in desk or how to use a self-service machine. Charlene Tait, Director of Development at Scottish Autism, said: “We know of many people living with autism who, along with their families, are disenfranchised from air travel because they simply cannot cope with the stress and trauma of an airport. “The busy nature of airports with crowds, queues, security checks and the accompanying noises can be overwhelming for people with autism who often have an adverse reaction to a unique and unpredictable environment which they cannot control. Maria Zedda, Director at Wideaware, said:- “”At Wideaware we’ve had the opportunity to work with many transport providers but this is the first time we’ve been able to provide advice on the production of disability-friendly factsheets. 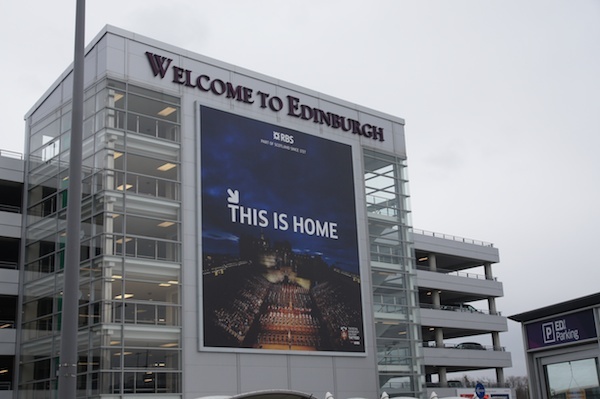 This is a fantastic initiative from Edinburgh Airport. “The factsheets will help passengers with a range of impairments and provide crucial information on what to expect when arriving at the airport and using its facilities.